Aaaaaaaahhhhh sleep. Why is it that you can’t ever seem to get enough of it? We just had our second little baby and you really don’t remember the goodness of sleep until it is snatched away from you. We have a 1 and 1/2 year old that has more energy than the sun and so it has been a fun learning curve to know how to catch a few more ‘zzzzzz’s’ when we can. Sleep is so important and when you have a hard time getting it it’s nice to know some ways to help. There are some really great health benefits of sleep that are so important to have in life. Just to name a few: Improve Memory, Live Longer, Curb Inflammation, Spur Creativity, Be a Winner and Increase Performance, Improve your Grades, Sharpen Attention, Have a Healthy Weight, Lower Stress, Avoid Accidents on the road, Steer clear of Depression and so many more. I have found that if I don’t get a good amount of sleep that my body needs I get more short and grumpy. And I don’t like being like that at all! 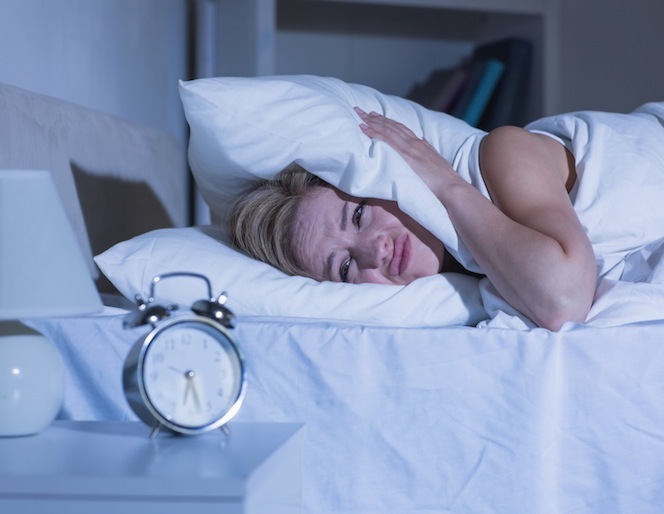 So, how does one get more or better sleep? My husband is pretty amazing at falling asleep fast, yes, it makes me jealous. Some of us are not that lucky and it can take us a while to relax, stop thinking of to-do’s and to catch that rem cycle of sleep. There are many ways to help with relaxing like meditation, taking a warm shower, doing an exercise, and hiding your clock. But did you know that food can also have a pretty big influence as well. Foods really have a big effect on ones mind, body and health. One thing that I have not tried a lot of but need to now is calming teas. What is it in teas that helps to calm someone? One common tea is chamomile (there’s a recipe soon to follow below that uses Chamomile), and it has been known to help you sleep. According to researchers, drinking the tea is associated with an increase of glycine, a chemical that relaxes nerves and muscles and acts like a mild sedative. 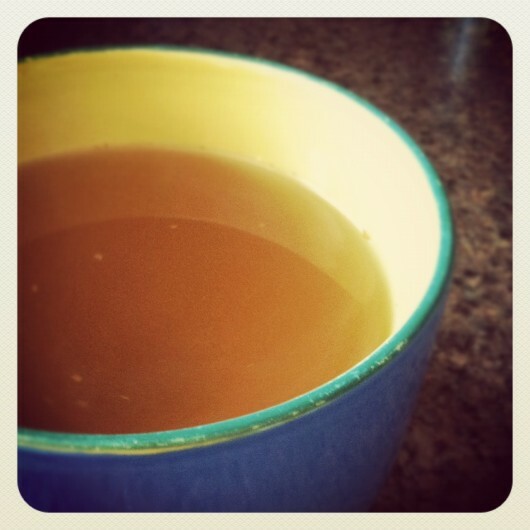 Honey is often used to add a little yumminess to your tea. The natural sugar found in honey slightly raises insulin and allows tryptophan to enter the brain more easily. I researched a bunch of homemade recipes you can concoct and try as well. 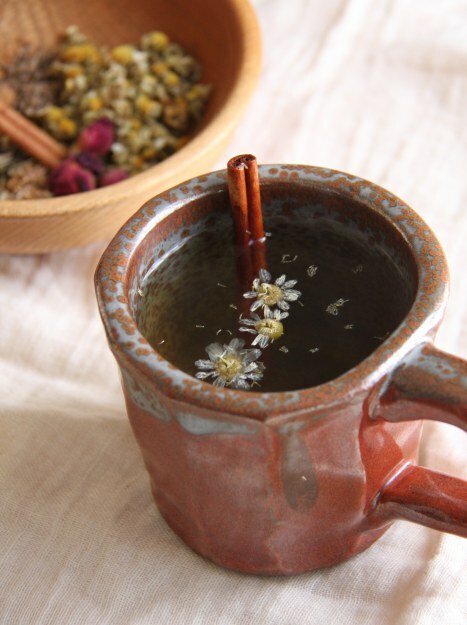 SweetSleep : This tea concoction calls for a little valerian, an herb associated with natural insomnia relief. SleepyTea : Dried lemon balm, peppermint, rose petals, and lavender will fill your home and mind with the soothing herbal aromas in this Nourished Kitchen tea. 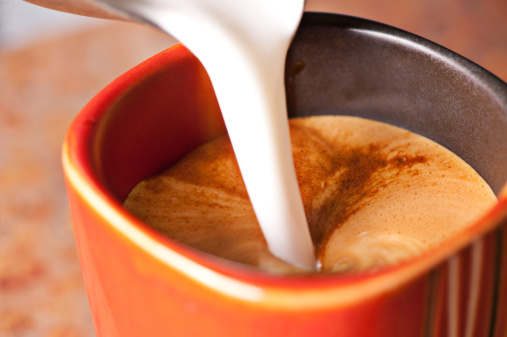 DeepSleep : This warm, creamy beverage is meant to quiet scattered, restless, anxious, busy, can’t settle down sort of energy. The dates make it perfect for quieting a sweet tooth, too. 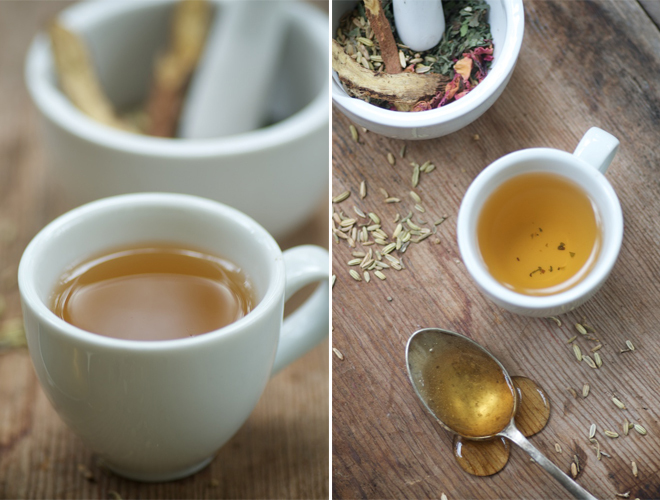 HealingTea : If an upset stomach is keeping you up at night, try sipping on this soothing ginger brew, sweetened with just a touch of honey. SleepBetter : Chamomile is a go-to herb for relaxation and calm, and the dried lemon balm and honey add a depth of warmth. I’m excited to try some of these out the next time I’m struggling falling asleep. What ways do you use to help you get more “zzzz’s”?